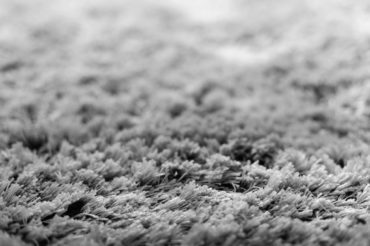 The carpet and rug manufacturing sector has always been highly traditional, but its principal innovations are more focused on designs and textures, rather than the waste generated by the industry. AITEX’s ECO & TECNO CARPET project will incorporate new materials and processes that fulfil the principles of sustainability, biodegradability and recyclability, ever more present in the collective conscience. The carpet and rug sector is a very traditional sector whose main innovations are more concerned with designs and textures rather than the incorporation of new materials or processes, which are only useful to meeting the requirements of certain sectors such as transportation or building. In the textile sector, functionalising fabrics is a useful way for companies to remain at the forefront of innovation, since it confers new properties on fabrics using a variety of technologies, to create a product with an added-value factor within its own market sector giving the manufacturer a competitive edge and a mark of distinction. Given the advantages offered by functionalisation of textiles, greater developments have been seen in more technical and innovative applications such as sanitary or cosmetic textiles, where price is not usually a determining factor and where it is easier to detect market needs in practically any textile application; one of the main beneficiaries being the carpet sector. On the other hand, society is becoming increasingly aware of the need to protect the environment and principles such as sustainability, biodegradability and recyclability are factors taken into account by consumers when choosing a product. The concept of sustainability has evolved from the linear through circular economy and into the current idea of “cradle to cradle”, which aims not only to create zero waste, but that the article eventually serves as raw material for new products for other sectors, including carpets and rugs. The main objective of the Eco & Tecno carpet project is the development of functional carpets and rugs incorporating materials and processes that improve the recyclability of the final product and research into the revaluation of the waste generated in every stage of the process to increase an article’s life cycle and provide an added-value factor.